Home » Other » Local Ballina GAA community show of support for South Africa bound students. Local Ballina GAA community show of support for South Africa bound students. Although the week just past was mid-term break for many this did not stop the local Ballina GAA community turning out to show its support on Tuesday and Wednesday last for the 4 students from St. Anne’s Community College travelling with the school to Missionvale Township in Port Elizabeth South Africa in February 2019. A GAA camp was organised by Veronica Power and her very able team of Eileen Breen, Brid McMahon, Eamon Power, Brendan McKeogh, Sean O’ Maolain, Conor Maguire, Michael Hurley, and a team of committed teenagers who helped with the coaching of the primary school children and ensured an enjoyable and worthwhile experience was had by all the attendees. 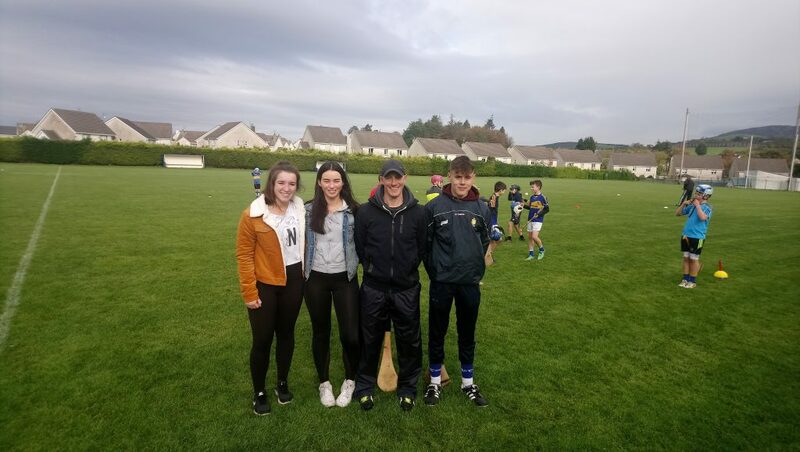 Such is the solidarity within the GAA community that county boundaries were set aside as recently appointed Clare GAA Camogie Coach and Clonlara stalwart Ger O’ Connell put the young people through their paces. All involved were foremost in their praise for the Missionvale project and gave of their expertise, time and commitment freely and selflessly over the two day camp. Both hurling and football skills took centre stage as a variety of drills and matches and skills were demonstrated and the children put through their paces by the coaches and teenagers. The 4 students travelling with the school, James Power (Ballina), Devlin Staunton (Ballina), Alison McGee (Ogonnelloe) and Dylan McMahon (Clonlara), are themselves no strangers to GAA exploits with James a proud Ballina man and Dylan just fresh from the Clonlara Minors’ victory in the Willie Chaplin Cup. The young children in Missionvale can look forward to a demonstration of hurling, football and camogie from these 4 in 2019. The generosity of Ballina GAA Club in allowing the use of their facilities and for getting behind the students in their fundraising efforts for Missionvale is strong evidence of the contribution the GAA makes to the local community, its schools and its young people. They can be justifiably proud of the teenagers and young people involved who are a credit to their clubs, schools and localities be that in Tipperary, Limerick or Clare. The example set by the adults who organised and ran the camp is praiseworthy and a fantastic one for the young people to witness. Next on the Missionvale fundraising schedule is a Table Quiz in O’ Donovan’s Ballina on Saturday November 10th next. 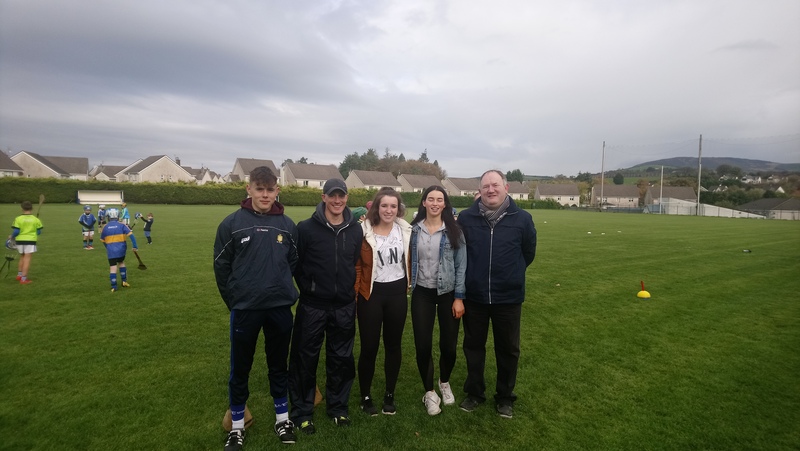 James Power (Ballina), Ger O’ Connell (Clare Camogie Coach and Clonlara), Devlin Staunton (Ballina), Alison McGee (Ogonnelloe), Brendan O’ Brien (St. Anne’s). Devlin Staunton (Ballina), Alison McGee (Ogonnelloe), Ger O’ Connell (Clare Camogie Coach and Clonlara). Missing from both photos is Dylan McMahon (Clonlara). By killaloeteacher in Other on October 31, 2018 .